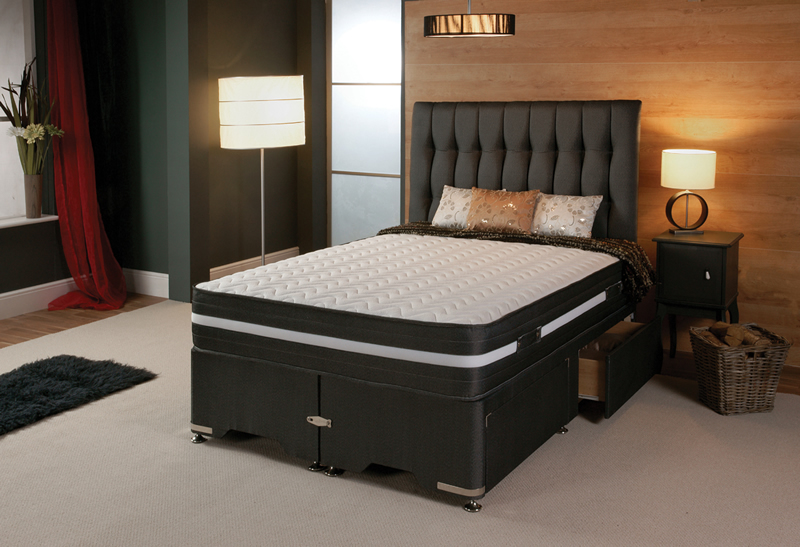 Camberley - Bristol Beds - Divan beds, pine beds, bunk beds, metal beds, mattresses and more! Ultra Soft Double Jersey Fabric. 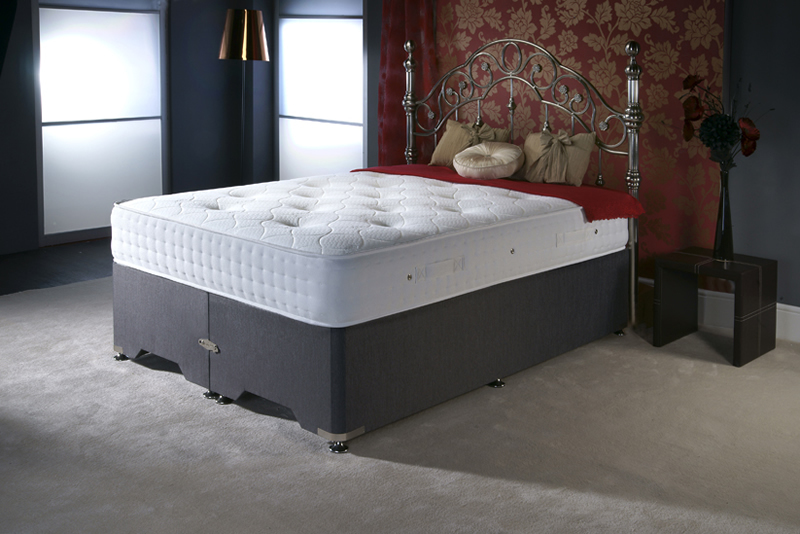 This mattress is on a 12.5g ortho spring unit which is hand tufted with woollen rosettes, and contains 4 rows of hand side stitching around the mattress border, completing it with extra strength handles which are securely attached to the border. This mattress is of a medium firm feel. Price includes mattress and base but not headboard.